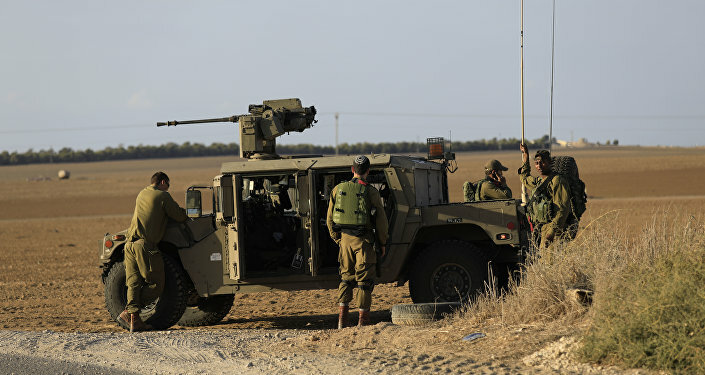 TEL AVIV (Sputnik) - Israeli combat aircraft on Wednesday attacked 12 Palestinian targets in the Gaza Strip in response to rocket attacks that continue from the territory of the Palestinian enclave, the Israel Defense Forces said. 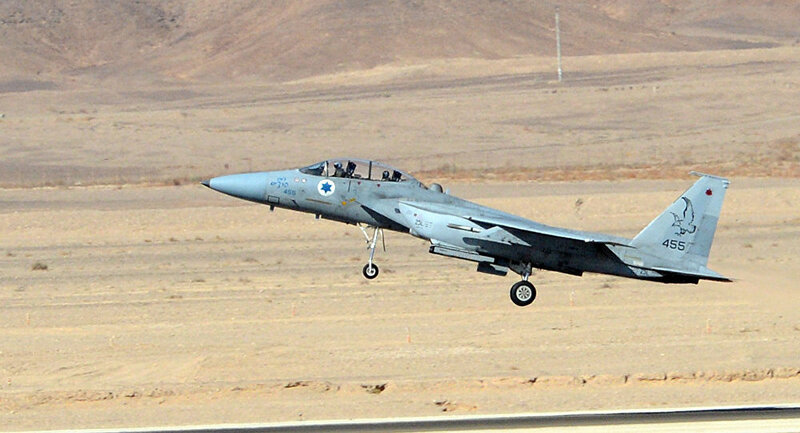 "The strikes were delivered in response to shooting at civil engineering equipment [at the Israeli-Palestinian border] and multiple rocket launches from the Gaza Strip targeting the Israeli territory," the IDF press service said in a statement. According to the IDF, the "central logistics complex," rocket manufacturing workshops and a cement plant that serves the construction of underground tunnels of militants were among the targets. The IDF earlier said that the Palestinians already fired at least 36 rockets at the Israeli territory on Wednesday, four of which were intercepted by the Iron Dome aerial defense system. Meanwhile, several Palestinian rockets fell in the Israeli city of Sderot, wounding two civilians.